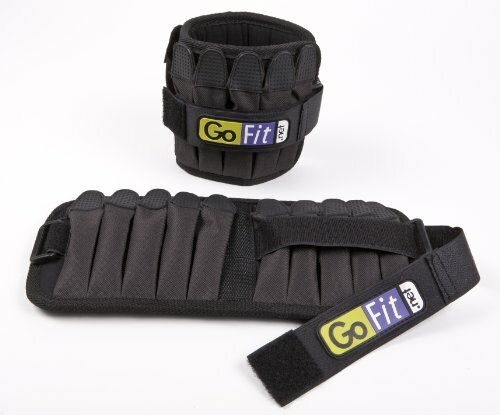 GoFit s Padded Adjustable Ankle Weights are changeable, making them perfect for any lower body strengthening workout! 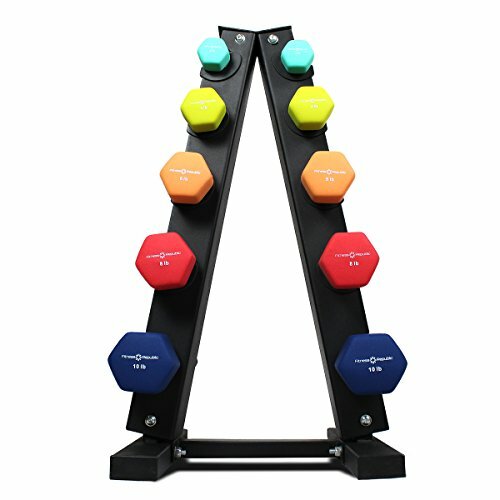 These weights come in 5 or 10 pound sets and are an excellent way to add resistance for both training and rehabilitation. Train. Recover. Repeat . This simple fitness philosophy can help you get results, and go fit through life. GoFit offers gear and training for a total home-fitness solution designed to get real results for real people. It s not a one-time-and-done solution, but a life-long process a philosophy of fitness: Train. Recover. Repeat. Follow this course of action and you ll get real results. GoFit's Padded Adjustable Ankle Weights come in 5 or 10 pound sets and are an excellent way to add resistance for both training and rehabilitation. ADJUSTABLE STRAPS - The adjustable straps allow any person, large or small, to use these weights. Perfect for both men and women! MULTIPLE POCKETS - durable rubber-capped Velcro closures secure the weight bars in the pockets making for a safe and efficient workout. The various pockets allow you to add weight at your own pace! PADDED COMFORT - Padded 'soft-touch' interior provides superior comfort and movement while exercising. WEIGHTED FITNESS - Whether you're running , walking, or strength training, the 5 and 10 pound weight options are just heavy enough to enhance your workout, making for a strong lower body. Yes4All Barbell Holder comes with a well-made construcion and minimalist design to increase safety during use. It is made of heavy gauge steel with black powder coating to increase durability & prevent chipping, fading & corrosion. Yes4All Barbell Holder is the best way to store your dumbbell handles and bars to maintain a clean and organized space in your gym or home workout space. Just simply place your bars inside the sleeves and slide them all the way in. The holder can safely keep up to 5 bars off the floor at once to save more space for your home gym and keep them clean for long term usage. Yes4All is confident in our high-quality products, which is why we offer 5-year Workmanship Warranty & 30-day Satisfaction Warranty on the product, so you can feel confident in your purchase. OPIMIZE SPACE TO COMPLEMENT YOUR STYLE It's time to rethink the possibilities of your space! 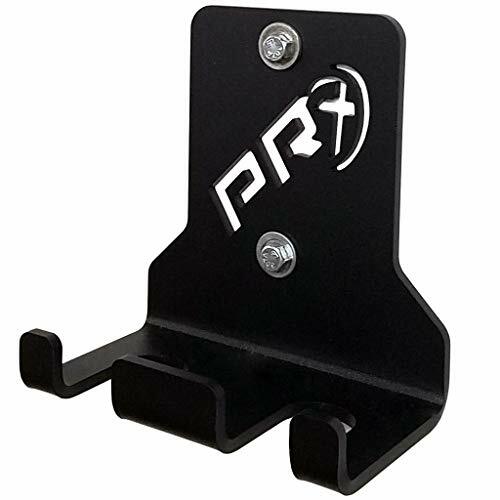 The new space-saving vertical bar hanger is the best alternative for bulky bar holder, which helps you save floor space and effectively prevent trips and falls on the floor as well. 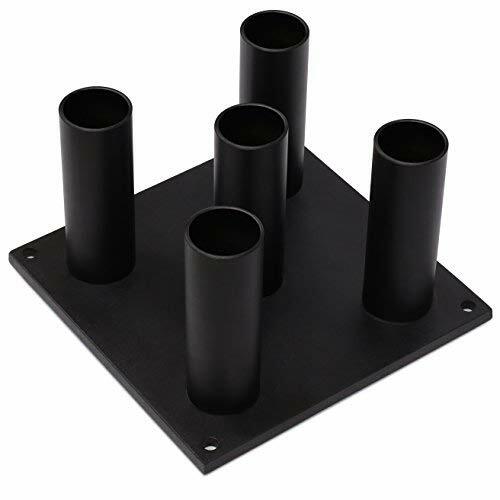 Just mount it on the wall and you can spare a neat, tidy place to store 4 bars at a time. This transforming bar storage offers a creative solution for the gyms with small or large space. PROFESSIONAL OLYMPIC BAR STORAGE Optimized design and highly functional vertical bar hanger strike the perfect balance of style, quality and functionality. 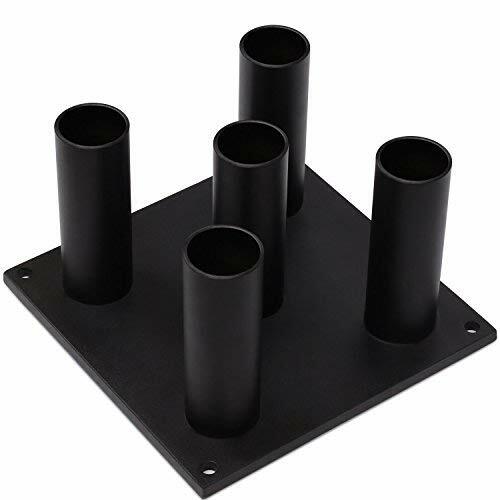 RIGERS Wall-mount Bar Hanger is fabricated from 11 gauge steel with laser cutting CNC bending and covered with black power coating finish to maintain the best look. Hang up to 4 bars on the wall, plus the extra protective UHMW lining protects your bar from scratching and marks and keeps each bar stabilized and secure in place. The RIGERS Vertical Bar Rack features 50mm sockets to hold most barbells from 20 kg, 15 kg, Aluminum Training Bars or even Olympic curl bars. CONVENIENT TO USE It's easy to rack and unrack your bar with our vertical bar hanger than ever. Whenever you need your bars just take it off the hanger and you are ready to go! SPECIFICATIONS Heavy duty 0.2" thick laser cut and formed steel construction. Black powder coating finish. 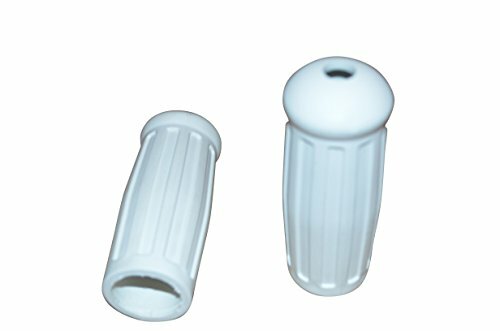 Protective UHMW plastic liner. Depth: 5" extension from mounting area. Length: 16". 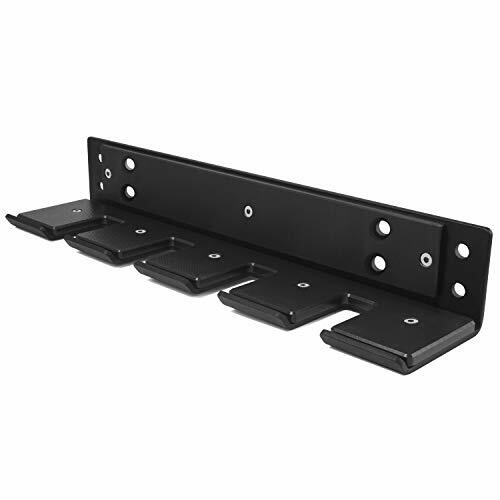 Mounting Hardware included for wall-mount. Can be installed to wood studs, wood backer board, or masonry. 1-year Warranty & 30-day Return. Fitness Republic dumbbell rack is an easy steel construction powerhouse. Designed specifically for indoor use, it occupies least volume in your home. 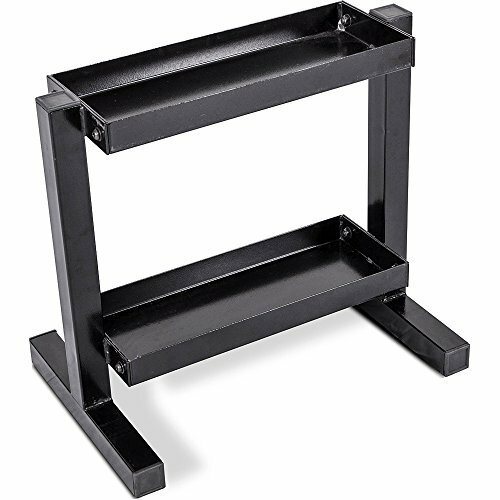 Available in 3 tiers and 5 tiers sizes, this durable rack is constructed to last, offer sturdy support under most strenuous workouts. Galvanized screws ensure rust irritants and prevent accumulation of oil compounds on the surface of the rack. * 3 tier - 120lbs & * 5 tier - 200lbs. * To assemble the dumbbell rack, first unpack all components and locate the hardware. * Take the bottom shelves, align them parallel, place separator in the center and use 80mm galvanized screws to tighten this component section from both sides. * Once the base is secured, take the side panels, position them upwards/vertically paralleled onto the bottom shelf. * Now take the TOP on top of the assembly and bolt together 16mm screws. * Nuts go inside with flat heads flush on the upper surface. Leave bolts finger tight. 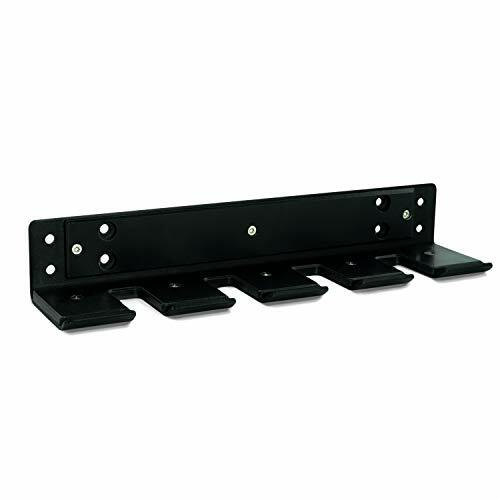 The rack should be placed on a flat floor surface. If this is not possible you will need to level the top of the rack for best performance. Tighten all the bolts to firm up the rack. 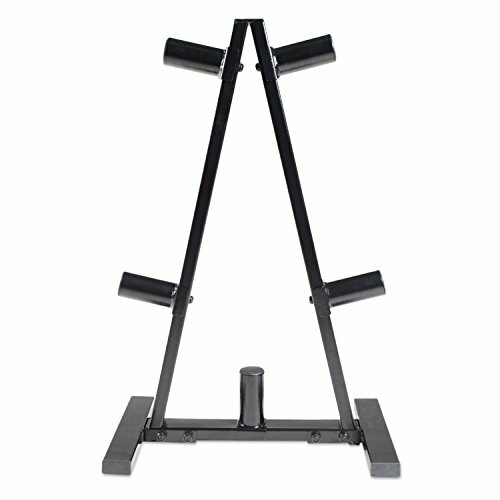 Akonza present you this brand new adjustable squat stand. This is ideal for home use. It is made of sturdy steel that provides the maximum safety. It also provides adjustable spotters on each post that ensure your safety. 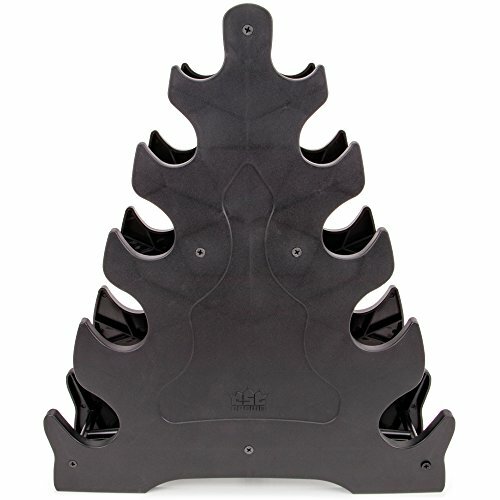 This adjustable squat stand has rubber end caps that protect your floor from scratching. This is an ideal choice for your home exercise. 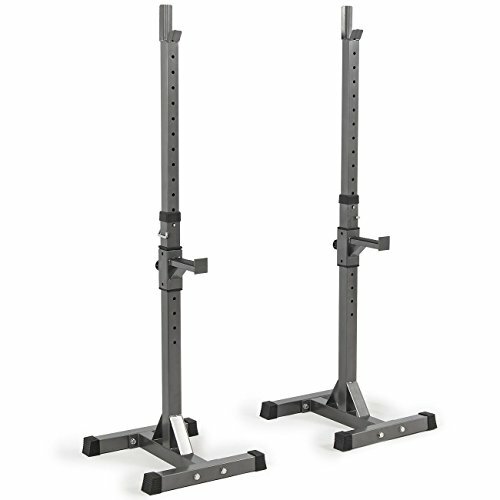 Package Include: 2 x Barbell Stand 2 x Safety Bar Catch 1 x Hardware Set 1 x Instruction For added safety, do not practice squats alone. Always have a spotter *Note Barbell and bench not included.Stands only. 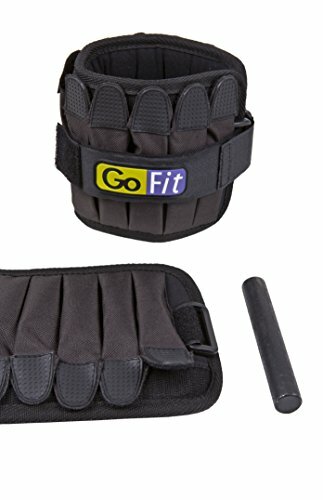 GoFit's Padded Adjustable Ankle Weights come in a 5 pound pair with weights weighing 2.5 pounds each or a 10 pound pair with weights weighing 5 pounds each. WEIGHTED FITNESS - Whether you're running , walking, or strength training, these ankle weights are just heavy enough to enhance your workout, making for a strong lower body.